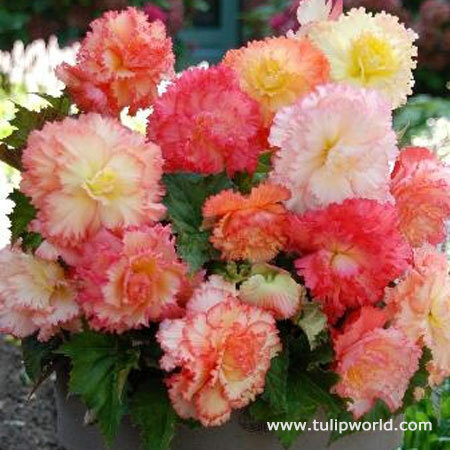 The Samba mixed begonias is a fun and new mix! The large flowers have fringed petals adding a lot of texture. The blooms tend to be pastel colors and often are more than one color per bloom, very much like a picotee. They will add some fun to your shaded planting areas such as borders, and shaded patio plantings. Very large and healthy bulbs. They were shipped to me on time as requested. The bulbs are large and started sprouting right away. Very healthy.